We were a few members missing today due to holidays, etc. but fourteen of us got a bit of work done. We have confirmed the 22nd and 23rd of March 2014 as a date for our next exhibition so everyone now has a timescale to work to. The exhibition will feature our main body of work on 'Elements' but we will also be displaying work done in workshops and other experimental things we have done. 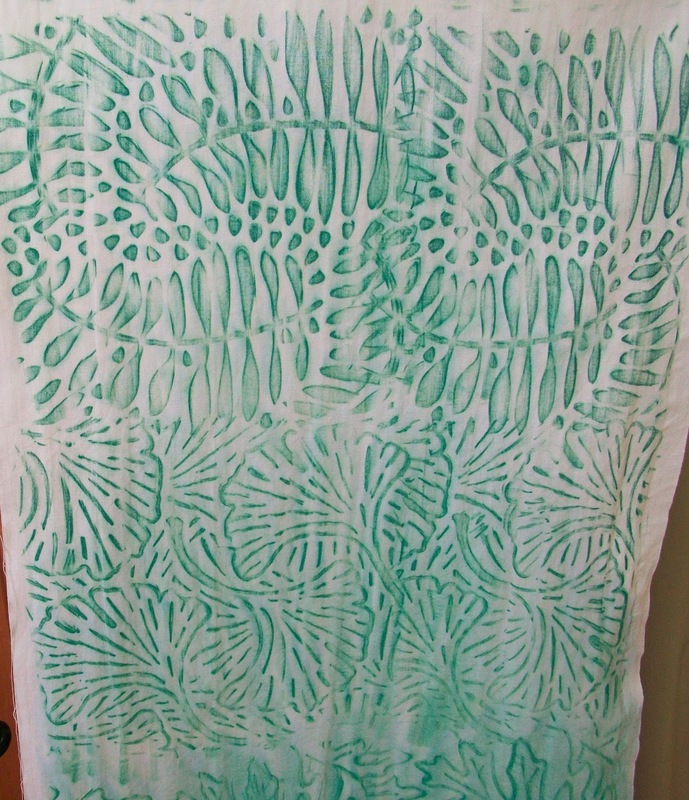 One of the members, Barbara, has had her weaving selected for the next exhibition at the Quilt Museum in York. 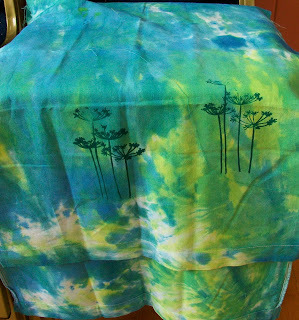 It will be on display from the 6th September to the 30th November. The Quilt Museum have started putting small exhibitions of different types of work to compliment their main exhibitions of quilts and patchwork and I think it works well. Maureen and Barbara have both been going backwards on their work since last month but the changes they have made are for the better! Christina brought her granddaughter with her today and we have all been encouraging her with her sewing. 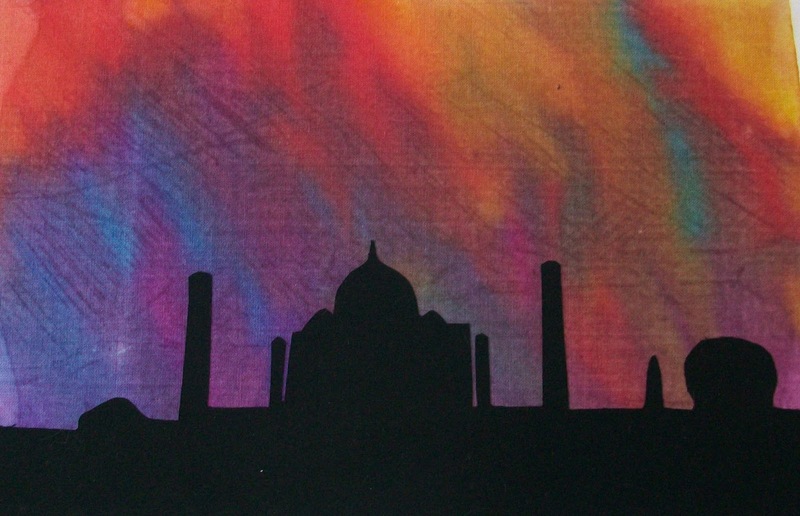 Liz has created this lovely image of the Taj Mahal using one of her screen prints as the background. Jackie has been doing some more printing. The top piece is a thermofax print on some hand dyed fabric. 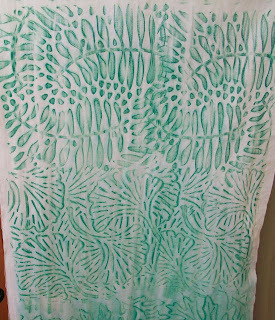 The bottom one is leaf rubbings using water soluble crayons then the piece is dipped in water to bring out the colours and make some of them run. It looks really good.